Mirror’s Edge was a quirky little title released in 2009, to much praise. The criticisms people had of this game were that it was pretty short for a full-priced game, and that the story was pretty weak. But the mechanics were solid, and the IP had quite a bit of promise. 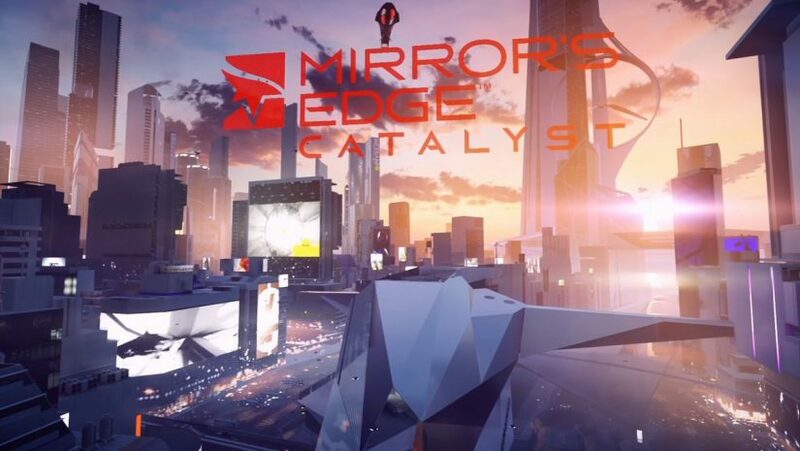 A lot of people asked for a sequel, and here we are in 2016 with Mirror’s Edge: Catalyst. Is this game a deserving follow up to the cult hit original? After spending quite a bit of time with it, I’m not so sure. Mirror’s Edge Catalyst is an open world, first person platformer set in the futuristic, utopian rooftops of Glass. You play Faith, the same protagonist as the original game; however the game takes place years before its predecessor. Faith is an interesting character with a complex past, one that gets her into trouble throughout the game. But I found her to be one of the few likeable characters I encountered. The rest of them fit quite a few cliches that just barely miss the mark. The most notable example is Plastic, a recluse hacker woman who has quite a bit of great dialogue. I just felt that the writers’ trying really hard to make you aware she was on the autistic spectrum was pretty on the nose. All in all, the story was fairly predictable, but the fact that it’s so apparent there’s things going on in Glass the game isn’t telling you really upset me. Incredible cityscapes fill this game beginning to end. The game itself it absolutely gorgeous. I was able to run the game at a smooth 60fps throughout, and the simple, bright, minimalistic design of the buildings and corridors you run through are a stark contrast to most AAA titles that come out these days. Some of the set pieces are really impressive, and swinging from a cable across rooftops above a busy street is always heart-pounding. The most jarring thing is that all of the cutscenes are pre-rendered, which is confusing since the game looks as good as it does. There were some serious stuttering problems in some of the NPC animations, but the actual part of the game you control ran flawlessly. The freerunning mechanics of this game are where it is most rewarding. Faith moves like water through the environment and you always feel in control. Several times while I was playing I would execute a series of jumps, slides, and swings, land on my feet and think to myself, “did I just do that?” In my opinion, though, the biggest flaw in the mechanics is the “runner’s vision” feature. 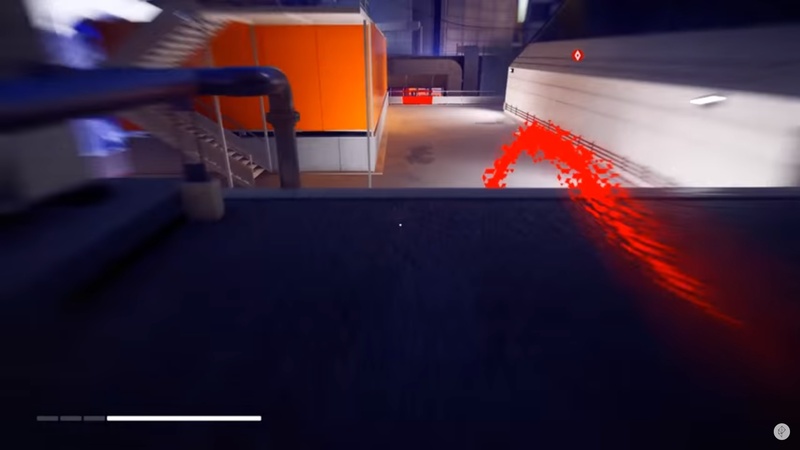 In the first Mirror’s Edge, the things you could climb on were highlighted in red, contrasting with the mostly white environment. In Catalyst, you can climb/vault on most everything you can see. It allows for a great deal of freedom when exploring the open world. However, “runner’s vision” leads you on a red-highlighted direct path to your objective, as most open world games do when you set a waypoint. Of all the games to do this, this one is hurt most by it. It destroys any sense of freedom the open world gives, and makes you not have to think about where your next jump or slide is going to be. Turn this feature off if you want more freedom. Also motion blur. The weakest part of the game is the hand to hand combat. When I heard that they were doing away with the player’s use of guns entirely in this entry, I was pretty excited because I was under the impression that the hand to hand combat would be focused on and improved. What I got was a clunky, miserable experience every time the game forces combat on you. And yes, combat is forced on you several times throughout the campaign. It relies on a system where you have to stagger your opponent by knocking them into things or other enemies, but you get to point where the enemies you encounter have guns or electric fist weapons. Being able to get up close to stagger them is near impossible without taking at least some damage. Your health regenerates somewhat whenever you are running without stopping, but during these forced situations there usually isn’t a ton of room to maneuver, making regeneration of health impossible. There’s a lot of mechanics in place where you can swiftly take out enemies while maintaining momentum, or at least being able to vault past them, which would be great if these locked-in-an-arena scenarios didn’t exist. But they do. Combat was absolutely the worst part of the game for me, and I dreaded every second I had to do it. Mirror’s Edge Catalyst has a ton of great things about it. 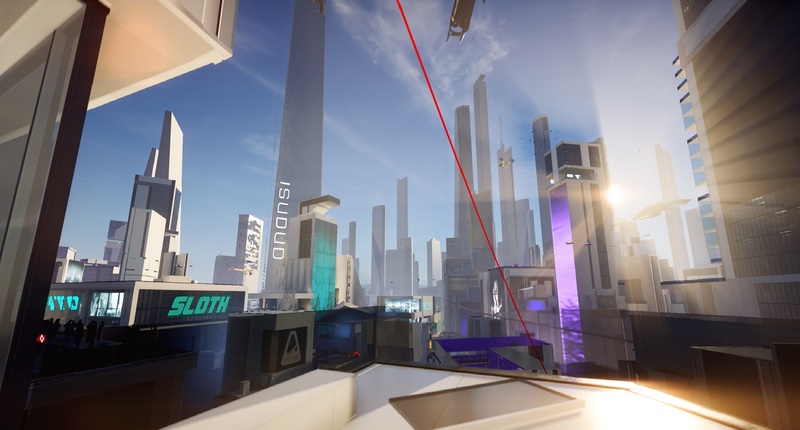 The fact that a first-person platformer even works at all is a wonder, and Mirror’s Edge nails that aspect flawlessly. But I really hoped this game would be better than it is. The performance issues, the terrible combat, and the weak story all lower the score for me. But most of all, I really think this game would’ve been so much better if it wasn’t an open world game. The side objectives and collectibles feel tacked on; they gave me serious Assassin’s Creed 1 vibes. I had no real reason for doing them other than to unlock abilities faster (and the fact that movement abilities are locked in the first place is just plain ridiculous), so after a while I just powered through the story. I hope this franchise sticks around, because the world and the design are so great. Just didn’t stick the landing this time. Mirror’s Edge: Catalyst is available on Origin, Playstation 4, and Xbox One.